Former California Gov. 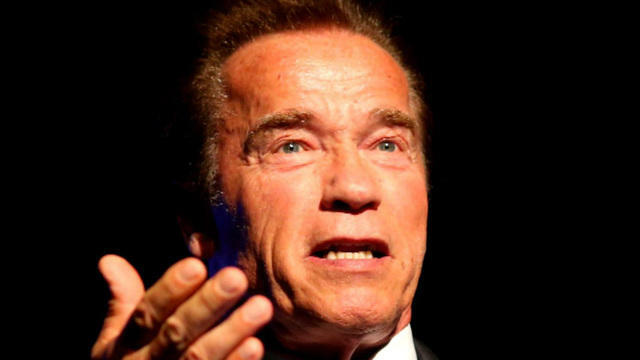 Arnold Schwarzenegger is returning to political concerns after his stint as a reality show host -- now, he's taking on partisan gerrymandering and redistricting. "It's an issue where there should be no advantage or disadvantage to any party," Schwarzenegger said in an interview with the San Francisco Chronicle. "It is meant to be an advantage for the people." The actor and former bodybuilder is raising money through CrowdPac to help fund a legal challenge to the Wisconsin gerrymandering case that will be heard by the Supreme Court next month, the report said. In November, a lower federal court struck down Wisconsin's election map as an "unconstitutional partisan gerrymander." Plaintiffs charge that the GOP-controlled state legislature wrote and "enacted a redistricting plan that systematically dilutes the voting strength of Democratic voters statewide." As governor, Schwarzenegger helped push through Proposition 11, the report noted, which set up the nonpartisan California Citizens Redistricting Commission that would draw the district lines for California legislative seats. The legislatures in most states control the drawing of political districts, while six states, including California use independent commissions for redistricting. The Brennan Center notes that in these states, "No individual drawing the lines can be a legislator or public official." "Gerrymandering has created an absurd reality," Schwarzenegger said in one video, the report said, "where politicians now pick their voters instead of the voters picking their politicians." He announced in March that he was done hosting "Celebrity Apprentice." Schwarzenegger served as California's governor from 2003 until 2011.